Obituary for Mrs. Betty M. (Findahl) Johnson | Hinchliff-Pearson-West, Inc.
Betty M. Johnson, 94, of Galesburg, died at 3:52 a.m. Wednesday, December 5, 2018, in Courtyard Estates in Knoxville. She was born March 16, 1924, in Detroit, Michigan, the daughter of Gordon R. and Martha A. (Kulick) Findahl. She married Paul L. Johnson on February 2, 1946, in Detroit. He preceded her in death on December 6, 2011. She is survived by four children, Joanne (Jesse) Martinez of Galesburg, Bill (Kathy) Johnson of Fort Collins, Colorado, and Chris (Slav) Dokolasa and Tim (Cheryl) Johnson, both of Galesburg; three grandchildren, Paul and Phillip Dokolasa and Evan Johnson; five step grandchildren, Theresa Lundeen, Maria Strom, Ryan and Eric Cecil, and Tonia Watts; and a sister, Marjorie Stoscup of Detroit. In addition to her husband, she was preceded in death by her parents. Betty was raised and educated in Detroit, graduating from Mackenzie High School in 1942. She attended Wayne State University. During World War II, Betty worked as a secretary at the Ft. Wayne Army Ordnance Depot. After her marriage in 1946, she moved to Galesburg, where she focused on raising her family. 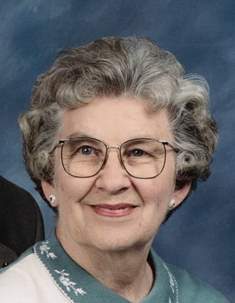 Betty was an active member of Trinity Lutheran Church, where she was a member and past president of the T.L.C.W. and member and past president of Church Women United. She was also a member of the Alpha Iota Sorority and had been a Girl Scout leader. Betty loved to travel and she was an artist, enjoying painting and ceramics. Visitation will be 5 to 7 p.m. Friday, December 7, 2018 at Hinchliff-Pearson-West Funeral Directors and Cremation Services Galesburg Chapel. Funeral service will be 10 a.m. Saturday, December 8, 2018 at Trinity Lutheran Church with Rev. Frank Langholf officiating. Burial will follow in Memorial Park Cemetery. Memorial contributions may be made to Trinity Lutheran Church or a charity of the donor’s choice. Online condolences may be made at www.h-p-w.com.